On the occasion on World TB Day 2010 which was observed on 24/03, Indian Development Foundation organised an essay writing competition in Bangalore region. 426 students from 43 schools took active part in the essay writing competition both in English and Kannada. On the move against Tuberculosis was the topic given to the students. In Kannada essay writing, Salman Khan (Std. 9) from Sri Vinayaka Vidya Kendra, Byatarayanapura, Bangalore bagged the first prize while Aishwarya Y. Shenoy (Std 8) from Bangalore Education Society, Malleshwaram, Bangalore and M. Rakshitha (Std.8) from National High School, Basavanagudi, Bangalore bagged the second and third prize respectively. In English essay writing, D. Mary Diana (Std 8) from Our Lady of Bon Secours Girls High School, Bangalore bagged the first prize while Sahana M.S. (Std. 9) from Sri Vinayaka Vidya Kendra, Byatarayanapura, Bangalore and R. Swetha (Std. 9) from Our Bon Secours Girls High School, Bangalore bagged second and third prize respectively. The young writers received honours, cash award and Certificate of Appreciation at the hands of Prof. (Dr.) Behera, Director L.R.S. Institute of Tuberculosis and Respiratory Diseases, Govt. of India - Mr. Bharath Lal Meena, Commissioner of BBMP - Dr. Prahalad Kumar, Director, National Institute of Tuberculosis - Dr. E.V. Ramana Reddy, Secretary, Department of Health and Family Welfare, Govt. of Karnataka and Dr. Vijayakumar Biradar, BBMP District TB Officer. IDF young social ambassador Nishchith (Std.6) from Kendriya Vidyalaya, MEG & Centre, Bangalore who added symphony to the whole event by moving his fingers on the musical keyboard was also honoured at the function. IDF social ambassador Ms.Vimala Hiremath assisted Dr. S. Franklin, Manager, Indian Development Foundation for the overall success of the social event. Wider participation and innovation marked the World TB Day, organized at the Bangalore Corporation Office on 24th March 2010. Prof. (Dr.) Behera, Director L.R.S. Institute of Tuberculosis and Respiratory Diseases, Govt. of India, was the Chief Guest for the Function. Speaking on the occasion, he lamented that a large number of people die due to tuberculosis every year. He said everyone should come forward and join hands to fight against this global emergency. While appreciating the wider participation of people from the government and non-government organizations, Mr. Bharath Lal Meena, Commissioner of BBMP, cautioned that the interest and enthusiasm are kept up till we reach the goal. Dr. Kumarswamy Lal, Joint Director of TB, mentioned that TB continued to cause huge loss to the nation and expressed hope that implementation of DOTS for TB in all treatment centres was a sure remedy. 24th March is observed as World TB Day and the WHO, our health ministry and various NGOs are doing everything possible to improve detection and cure for TB in India. 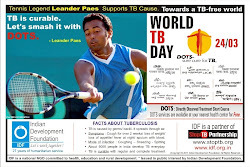 The theme for World TB Day 2010 is "On the move against Tuberculosis: Innovate to accelerate action". Hope on the Horizon: H. Sudarshan; Pub. by Indian Development (formerly Indian Leprosy Foundation), L-10/3 & 4, Jal Ratan Deep, Bangur Nagar, Goregaon (West), Mumbai-400104. Rs. 400. This book on the life and times of A.R.K. Pillai, founder of the Indian Leprosy Foundation (ILEF) — since rechristened Indian Development Foundation — is verily a slice of the community initiative in the country's fight against leprosy. Kerala-born Pillai moved to Mumbai, where after a stint in the Railways and in an advertising agency, he took up the cause of leprosy eradication with a missionary zeal. He started off playing a PR role for the projects of German and Swiss organisations in India and then, in 1984, founded the ILEF. To quote the author, H. Sudarshan, ILEF's concept of remaining a “catalyst with spirited advocacy for change in societal attitude” earned wide accolades for Pillai. 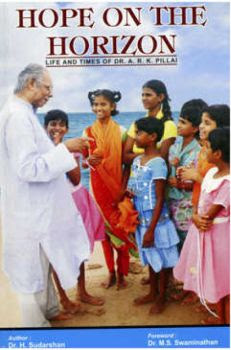 The book is in a question- answer format, with Pillai responding to the queries posed to him on a wide range of subjects — personal life, the challenges he faced in his campaign against leprosy, the task ahead etc. Eminent agricultural scientist, Dr. M.S. Swaminathan says (in the foreword) Pillai has shown how a “person by setting himself as a selfless example” can motivate several others and lead them into the “national mainstream” (of dedicated social service). Direct Transfer to IDF's Bank A/c. Confirm on email - idfhopeonthehorizon@gmail.com - Send complete address for sending the copy by courier. 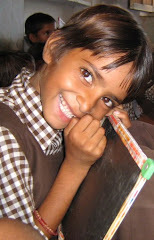 By buying a copy of Hope on the Horizon, you are sponsoring a child in IDF Bal Gurukul for a month - It's just Rs.400/=. WHY POSTPONE GOODNESS IN LIFE ? WHAT IS POSSIBLE TODAY MAY NOT BE POSSIBLE LATER !! Indian Development Foundation in collaboration with Gremaltes organised TB awareness programme at Amjikarai area in Chennai. The awareness programme was specially initiated as part of World TB Day with falls on 24th March. The volunteers distributed handbills containing scientific information on TB to the public and also explained the need for early detection. On 20th March, 10 students from TP Bhatia College, Kandivali (W), Mumbai led by Prof. Samir Khasnis visited Vimala Centre, a leprosy-TB project in North Mumbai, to interview Dr.A.R.K.Pillai, President, IDF for their College Magazine. The interview touched upon personal life to professional and then to social reformist. The students got inspired talking to Dr.Pillai. The visiting students went round the centre, met the inmates and wished them. 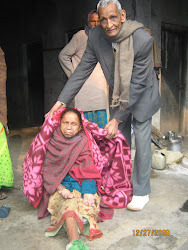 It was really a soul-stirring experience for us as we visited leprosy home for the first time. The sisters of the centre need to be congratulated for the wonderful services rendered to the inmates, expressed the students. Mrs. Sarala Gavane, CAS Co-ordinator of Podar International School, Santacruz(W), Mumbai led a group of 21 IBDP students to Vimala Centre on 18th March 2010. Dr. Narayan B. Iyer, National Co-ordinator, IDF gave an orientation on Indian Development Foundation and later created awareness on leprosy and TB. Students went round the centre and interacted with the inmates. As the students wished the patients a speedy recovery, they brought smiles on many lives. On 17th March, Rotary Club of Mumbai North End invited Dr. A.R.K.Pillai and Dr. Narayan B. Iyer from IDF to create TB awareness as part of World TB Day 2010. IDF team spoke on scientific information on TB and exhorted the Rotarians to join hands with IDF in stopping the spread of TB. World TB Day which falls on 24th March provides an opportunity to spread TB message to the masses and enlist people's support for the cause, said Dr. Narayan. Rotarian President Vedprakash Dudeja, Rotarian Secretary Manoj Suchda and Rotarian Sana Rupani appreciated the work of IDF in StopTB programme. 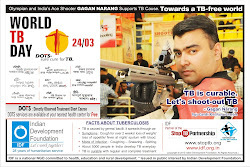 Rotary Club of Mumbai North End will take up TB project in collaboration with IDF to create awareness among the people. Dr. Pillai appreciated the unstinted support extended by Rotary Club of Mumbai North End for over a decade. A copy of the book `Hope on the Horizon' was presented to the Rotarian President. Tagore Vidya Bhavan, Shastri Nagar, Jaipur supports leprosy/ TB programmes. L/R - Aakash Sharma, Raj Singh Chauhan, Ankit Chaudhari and Kirti Mathur joined Mr. Anil Kumar, Principal of TVB in presenting a donation cheque to Dr.Narayan B. Iyer for IDF programmes. Rajkiya Maharani Balika Sr. Sec. School, Bani Park, Jaipur supports leprosy/ TB programmes. Social Service Incharges Mrs. Meenakshi Sharma and Mrs. Sunita Gupta joined other teachers in presenting the contributions to Indian Development Foundation. Mrs. Priyadarshini Kachhawaha, Principal, Bharatiya Vidya Bhavan's Vidyashram, Pratap Nagar, Jaipur receives a copy of the book `Hope on the Horizon' from Dr. Narayan B. Iyer. N.K.Shikshan Sankul, Jaipur supports leprosy/ TB programmes of Indian Development Foundation. NKSS Team - Dr. N. C. Lunayach, Managing Director - Mr. Kuldeep Singh, Director - Mr. Vidya Nidhi Trivedi, Principal - Dr. Nahida Khan, Public Relations Officer - Students (Pooja, Jyoti, Sumit and Amit) presenting a donation cheque to Dr. Narayan B. Iyer, national co-ordinator, IDF. IDF salutes the schoolteam of N.K.Public School, Jaipur for their wonderful and unstinted support to humanitarian programmes. IDF says iTS the great !! Indian Development Foundation organised TB Awareness programme for the members of iTS India Pvt. Ltd. at Taloja, Dist. Raigad on 13th March 2010. Mr. Anand Menon, Manager (HSE & Public Sector Sales) of iTS made all arrangements and introduced Dr.Pillai and Dr. Narayan to the members. A film show on TB was shown to the members of iTS and it was followed by Q&A session. IDF team congratulate iTS team for organising the wonderful social responsibility programme. StopTB posters were handed over the the team for spread the message among te masses. 24th March is observed as World TB Day. Mrs. Remila Purvankara, Founder-Trustee of Taksheel Foundation, accompanied by Mrs. Rema Karat and Mrs. Shyamala Subramanian, visited IDF office on 11/03/10 and discussed on the social responsibility programmes carried out by her Foundation to Dr.Narayan Iyer. Dr. Narayan appreciated the education projects run by Taksheel Foundation catering to the underprivileged children. Handing over a copy of the book `Hope on the Horizon, Dr. Narayan suggested for collaborative social programmes in the coming days. The visiting team welcomed the idea of `partnering for a cause'. IDF young ambassador G.R.Shankersai called on Shri Venugopal at his residence in Hyderabad to present IDF donation receipt and a copy of `Hope on the Horizon'. 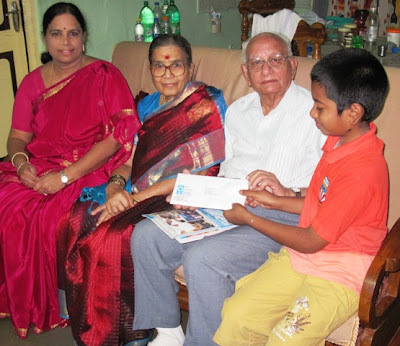 Little Shankersai thanked the donor-family on behalf of the Foundation and sought blessings. Shri Venugopal and family extended whole-hearted supported to Indian Development Foundation's humanitarian programmes. Inspired by their daughter Dr.Nagasundari, Smt. & Shri Venugopal went an extra-mile to lend support to leprosy/ TB programmes of the Foundation. `My good wishes to IDF team in their journey of transforming lives of several underprivileged children', expressed Shri Venugopal. IDF family expresses sincere thanks and gratitude to the Octogenerarian Shri Venugopal for the act of benevolence. As part of the International Leadership Learning Program, a group of 10 principals from across the UK were in Mumbai to study Podar International School’s model of leadership and governance. Dr. Vandana Lulla, Director/ Principal of Podar International invited Narayan B. Iyer to speak on the social responsibility and students role in building up leadership qualities. During the event, Dr. Narayan Iyer presented a copy of the recently released `Hope on theHorizon' to Dr. Rosemary Litawski, Headteacher, The Ferrers School, Northamptonshire. The visiting team congratulated the work of Indian Development Foundation and look forward for a social networking in the future days. Heard of celebrating holi festival with colourful petals and flowers ? 90 PYP students of Class V from Podar International School, Santacruz (W), Mumbai celebrated Holi with the children of St.Catherine's Home at Veera Desai Road, Andheri (W), Mumbai on 4th March 2010. As the children sprinkled petals on each other, they also distributed sweets. It was really a great fun to witness sharing of joy and happiness. Rev. Sr. Sneha, Superior, St. Catherine's Home congratulated the efforts of IDF and Podar International School in organising a meaningful social responsibility programme with the Home children. Indian Development Foundation team co-ordinated the entire event. Podar students celebrated the festival as part of their CAS activity. Mr. Vishwaveer Ahuja (former Managing Director & CEO-India, Bank of America) and currently with Advent Advisors, Mumbai congratulated the work of Indian Development Foundation as he received a copy of the book `Hope on the Horizon' from Dr. Narayan B. Iyer and Dr. Sharad Nayampally.